Once you find a certificate program that interests you, simply click on the application and complete the registration process. What does a certificate cost? Harris-Stowe State University students and all others will be charged the same tuition rate (in-state or out-of-state rates as applicable) that is in place at the time of acceptance. The tuition rate will follow the institutional fee structure unless otherwise specified. If the student takes 3 credits in each week 8-week session then they would be in 6 or half-time for the semester and receive 1/2 time pell and loans split over those two sessions. If a student were to take 6 credits per session then they would be eligible for full-time pell and loans. Please let me know if you have any questions or need more insight. Can I earn a certificate online? No. Our certificate requires hands-on training and are conducted in face-to-face format. How do certificates differ from degrees? Our four-year degree programs require 120 credit hours, specific admission requirements, and a formal application process. Our certificate programs are usually 4-6 courses and offer a quicker path to a credential. Certificate awardees do not participate in Commencement or receive alumni status. The certificate will state: Harris-Stowe State University Professional Certificate Program, Awarded to [Your Name] a [five, six or seven] course professional level certificate in [field name]. Will all the courses listed be offered every year? The required courses are offered in a cohort sequence only bi-annually, but the elective offerings do change slightly because of new offerings and instructor availability. Can I count one course toward multiple certificates? No. Each certificate requires five, six or seven distinct courses to ensure its academic and professional value. Can I substitute a course that is not listed on the certificate course search? No. Only those courses specifically listed in the certificate course search can be counted toward the certificate. We do not accept course substitutions or transfer credit. What happens if I earn a B- or lower? Courses in which a student earned a grade of B- or below cannot be counted towards a graduate certificate. Students must earn a grade of B, B+, A-, or A. Can I count a certificate toward a Harris-Stowe State University degree program? Yes, Individuals officially accepted as Harris-Stowe State University students and who have completed the Audio production, Crime Intelligence Analysis, or Documentary Videography programs may use their certificate as a minor with the completion of a bachelor degree. 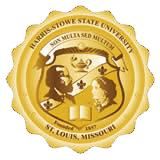 Individuals who complete one of the above mentioned certificate programs and later decide to enroll in Harris Stowe-State University officially may use their completed certificate as a minor in their completed Bachelor degree. Can I earn my degree and one of the professional certificates at the same time? Although it is possible to work on a professional certificate and a degree concurrently, we strongly encourage you to speak with an adviser before undertaking such a heavy course load.